This is a cute dessert option that is already in individual servings, so there is no arguing over which piece is bigger. 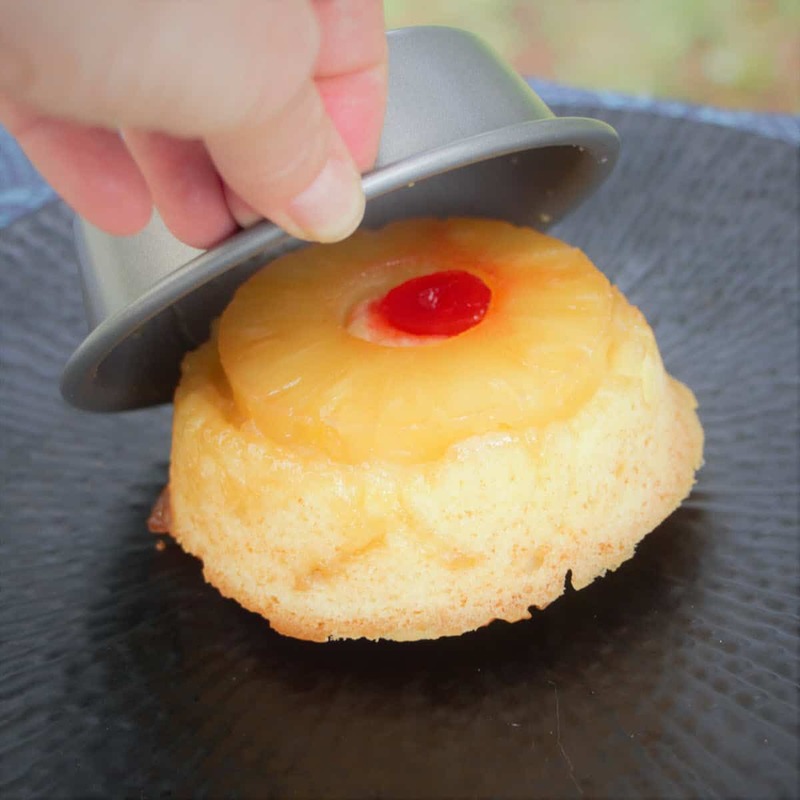 It can be made in mini cake tins, ramekins, or even empty tins. This recipe has a caramel that is created when baked. However, you can also make extra sauce for those who like it a little sweeter. Into each individual backing dish (tin, ramekin, or can) add one tablespoon of butter and slosh around to get up the sides. 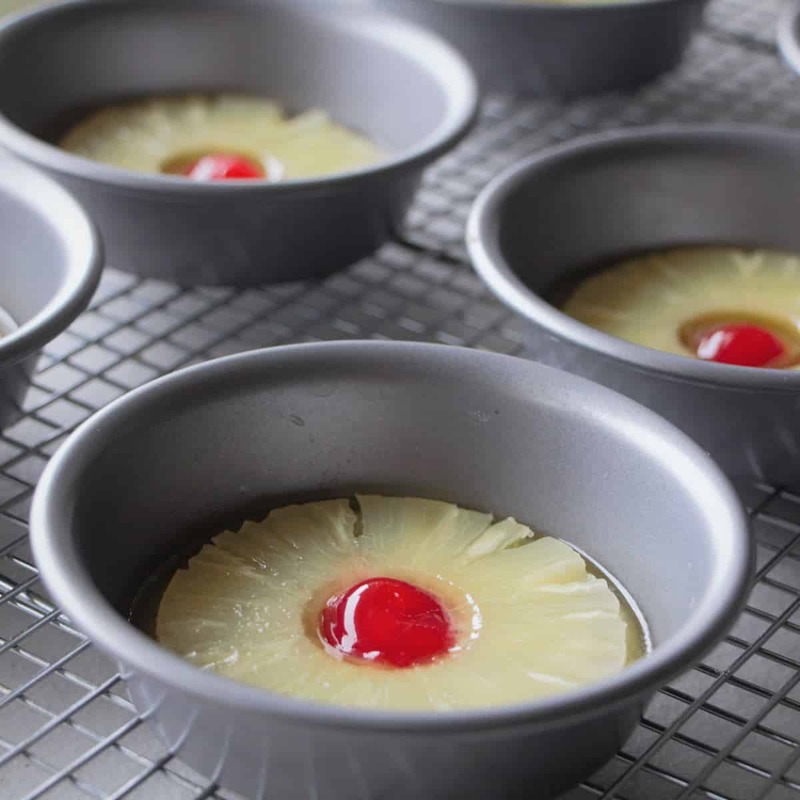 Sprinkle a tablespoon of brown sugar in each dish, then top with a slice of pineapple and place a cherry in the center. Add the eggs slowly, beating after each addition. Beat in the vanilla essence. Sift together the flours, then fold into the mixture until just combined and almost smooth. Add the pineapple juice. Spoon the mixture evenly across the 6 dishes. Use the back of the spoon to make an indentation into each cake. This will help reduce a bulge being created when baked and help it sit flatter on the plate. 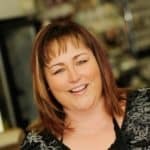 Bake in a camp oven that is preheated to 180 degrees C (350 degrees F) for 40 minutes or until baked (a skewer inserted into the cake comes out clean). 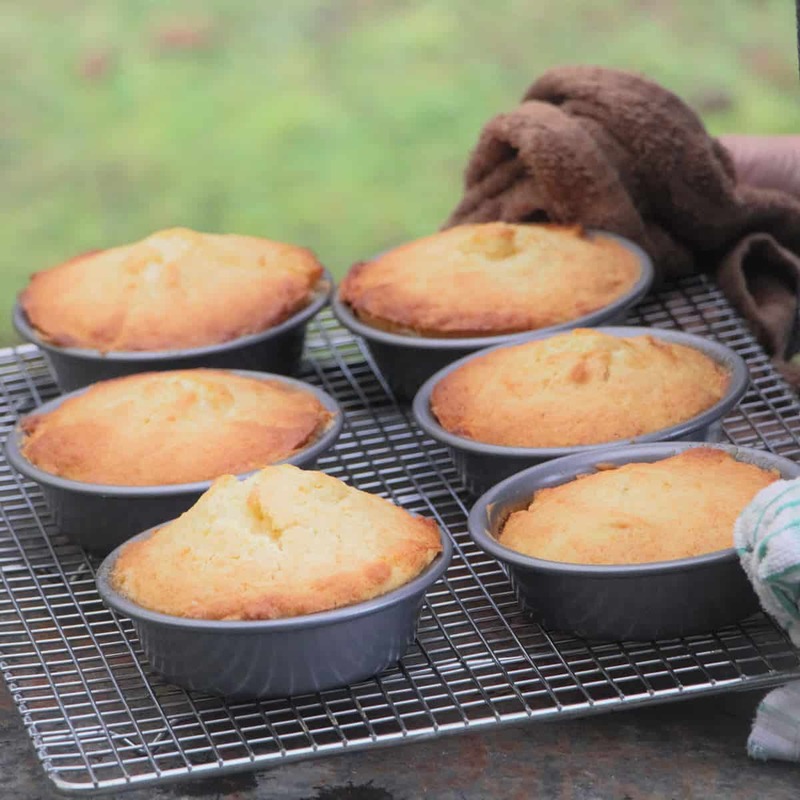 Let the cakes sit for 5 to 10 minutes after baking. Invert onto a serving plate. All going well, the cake and its pineapple will come out cleanly. Serve as is or top with a butterscotch sauce, cream, or similar. 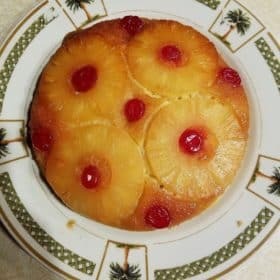 Pineapple Upside Down Cake is made from scratch and cooked to perfection on the grill. Bake it while your guests are eating dinner and serve for dessert. 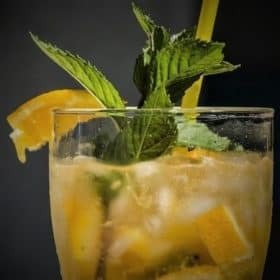 Pineapple Sangria is a refreshing summer cocktail that is perfect for large crowds. The next time you are hosting or going to a cookout, make sure to whip up a batch of this drink.